Each year, ISM sponsors two scientific seminars (spring and fall meetings) and a variety of technical workshops. Check out our most recent post below for the latest information on our upcoming meeting. 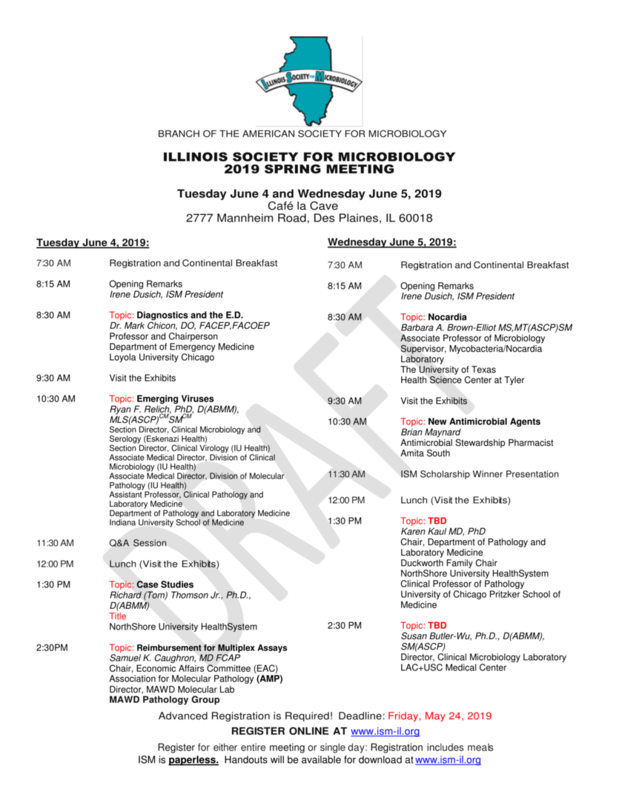 Registration Deadline: May 24th, 2019. Please complete the form below and submit payment. Registration fee includes lectures, breakfast and lunch. ISM has applied to be a provider of Continuing Education for this program in the Clinical Laboratory Sciences through the ASCLS P.A.C.E.® Program. Completion of the program will provide 4.0 CE contact hours of continuing education. The instructional level of this program is intermediate. No registration is needed for the ISM Council Meeting.